يقع ibis budget Wentworthville في باراماتا, سيدني, هو خيار شائع بين المسافرين. يمكن من هنا للضيوف الاستمتاع بسهولة الوصول إلى كل ما تقدمه هذه المدينة النابضة بالحياة. يشكل هذا الفندق ملاذاَ مريحاً للاسترخاء ويمنح زواره فرصة للاستجمام والتجدد، وهو يقع على بعد خطوات من المعالم السياحية الكثيرة للمدينة كمثل: Wentworthville Medical & Dental Centre, Westmead Private Hospital, Westmead Hospital. إن الخدمات الممتازة وحسن الضيافة العالي في ibis budget Wentworthville تجعل إقامتك تجربة لا تنسى. تتضمن الميزات الرئيسية في هذا الفندق: خدمة غسيل ذاتية, مرافق مخصصة لذوي الاحتياجات الخاصة, تسجيل وصول/خروج سريع, واي فاي في المناطق العامة, صف السيارات. يمكن للنزلاء الاختيار من ضمن مجموعة من الغرف المصممة بعناية لتعكس جواً من الراحة، والتي يتجاوز عددها 102. يقدم الفندق مجموعة رائعة من الخدمات كمثل مسار جولف - ضمن 3 كم, حديقة، لجعل إقامتك تجربة لا تنسى. إن ibis budget Wentworthville هو خيارك لخدمة الفنادق الراقية في سيدني. يجب على النزلاء الذين سيصلون بعد الساعة 10:00 PM أن يتصلوا بالعقار مباشرةً قبيل وصولهم؛ حتى يتسنى عمل ترتيبات بديلة؛ فالعقار ليس لديه مكتب استقبال يعمل على مدار الساعة. it is cheap resonable. but when it comes to bathroom, there is no door or something for shower , water can be sloshed all over the toilet. :( but I am so satisfied with everything except it. I will go again. ibis took over the formulae 1 motel. newly renovated, room are not big, but enough to stay overnight. good shower, clean, and good noise insulation from neighbours and highway traffic. bed mattress is not too soft and comfortable to sleep on. has coin-driven laundary, free microwaves for common share, so can buy frozen food from supermarket and make dinner in motel. good for budget traveller. Cheap budget accomodation I would not recommend. The room seemed clean on arrival. The bed was uncomfortable and all I could hear was the traffic of the Great Western Highway all night. Shower was plastic and felt like a portaloo. The shower head was broken and sprayed water everywhere no matter how you tried to adjust it. Three holes in the head only working so it hit you like a sharp speer to the body. If you are tall you have difficulty showering. Woke up in the morning after a rough night to find ants all over the floor. Like I said the cheaper the hotel you get what you paid. The staff were not friendly and really couldn’t care less when you leave. They don’t ask you how is your stay is because you will give them a spray on how much you hate the place. Next time when I return to Sydney I will pay a bit more somewhere else to guarantee that I can get some sleep. If you want a flop house then this place is for you. We paid $99 for the night for a double bed in a small room. It is what it is. A cheap place to sleep and shower. The guy at the front desk was awesome. Super friendly and helpful. My only issue was around 830am on our check out day the cleaning guy opened our door without permission to check we were leaving today.. probably lucky I had just finished getting dressed. I found this quite weird and quite rude as someone could have been mid change etc. Otherwise it was good. You know what you are getting with Ibis. The hotel is clean, with comfortable beds and plenty of parking. The rooms are small, but the facilities are adequate. 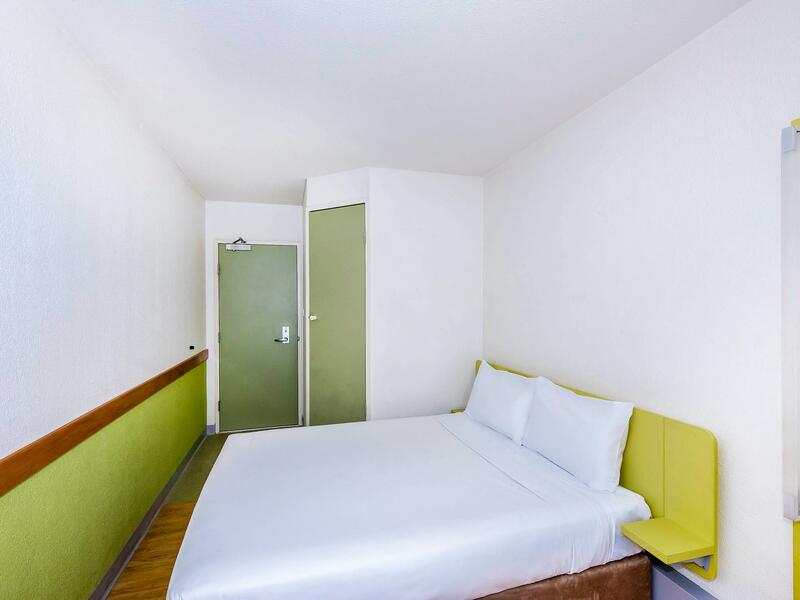 The Ibis Wentworthville is well located near a small shopping centre and within walking distance of the Wenty Leagues Club, an excellent place for dinner. Hi Sandra, Thanks for telling us about your stay and so glad to note you will return! Convinient for what I need. I was pretty happy about my stay here. I paid $79 and got a clean room with fridge, shower, toilet, tv and kettle. Also surprised by free internet access in each room. Not a place that would impress your girlfriend but certainly handy for those doing work in the area. Staff at front desk quite friendly and helpful. It said it was the cheapest motel chain in the world, funny that sign was at the back of the motel? Not out the front. $139 for 1 night & that was heavily discounted by Agoda? Thanks Agoda... It was freezing, & for that price they only had a thin sheet? No type of doona or blanket. I had hundreds of ants crawling around & my coffee was covered in the little buggers as soon as I sat it down. The shower was dirty & pubic hairs on the sheets , floors as well as other hair, obviously the cleaning was a budget job just like the name of the motel chain. I will never stay in that place or any Ibis again, truly pathetic for that price? Value for money. Clean. Comfortable. It was a short stay but it was comfortable. The location was not close to services . The hotel was clean. the room was comfortable. Reception was friendly and efficient. 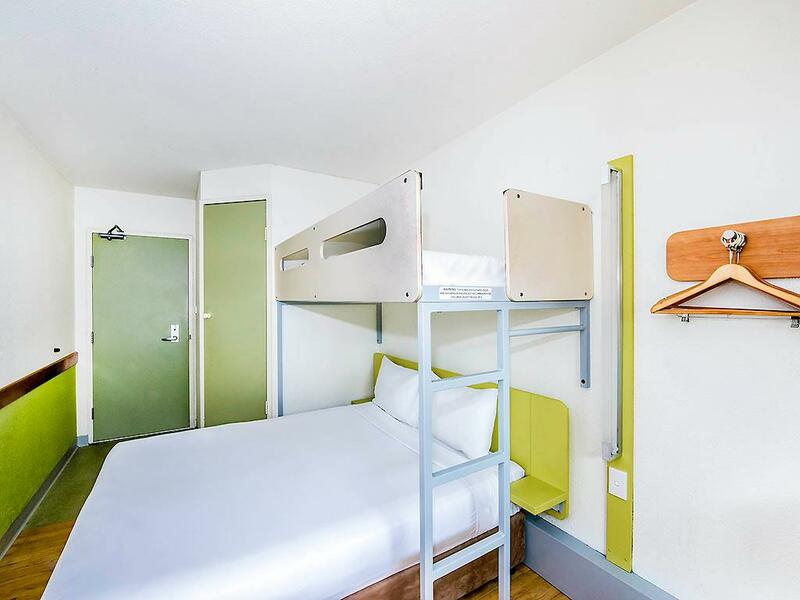 This would be excellent for budget travellers if it was in a more suitable location. Most of the time we were out so it is a budget type for those who just spend few hours in the room. The place is a bit out of no where so you'd better drive. Only two staff taking shift and no check-in between 10am-12noon; but we were lucky to reach just before 10am. Close to the places I needed to go, comfortable and very affordable. Great! It was very comfortable and affordable. Close to the places I needed to go. I attended a conference in Parramatta and it was the closest and most affordable I could get. I had a small problem at first, where my payment details hadn't been processed but that was resolved relatively quickly and I was able to get to my room. However, overall it was a great stay. The motel has been refurbished within the last few years and is very well presented. The room was 'as new' providing everything necessary for accommodation of this level. The room was small but functional with modular shower and toilet unit, handbasin in the room, TV, phone and Wi-Fi access. There is a breakfast area providing a continental breakfast at good value, but no restaurant. Not having own transport, the only 'cons' if there are any was that public transport is not close, and somewhere to eat is also a distance away. 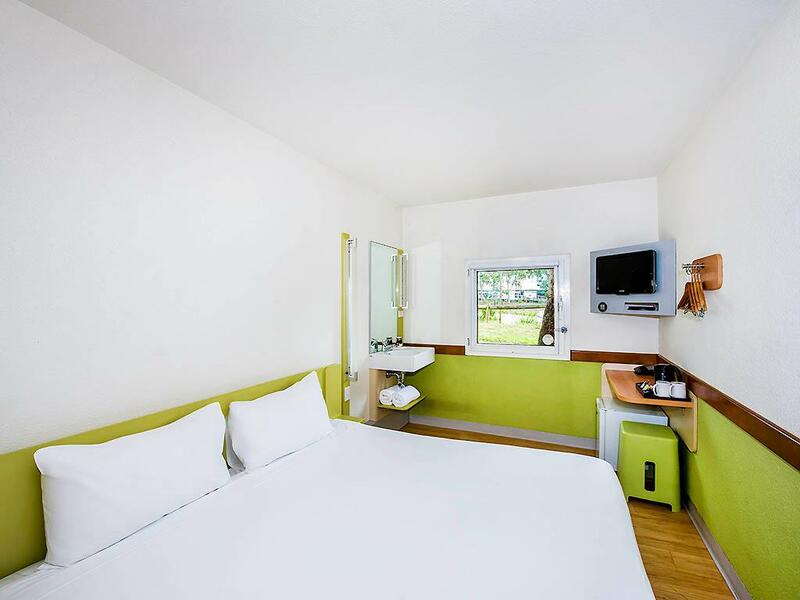 The hotel offers good basic accomodation and is great value for the price. The room was a decent size and was clean and functional, and everything was in good working order. The hotel also has secure off street parking. The staff were friendly and accomodating. We would use this hotel again. The room was clean and comfortable. As expected for the room. Have stayed here before so repeat customer. Plenty of places for dining close by. Staff were very friendly when I needed. Was impressed with free wifi access as it was unexpected. Very happy with stay and will stay again. 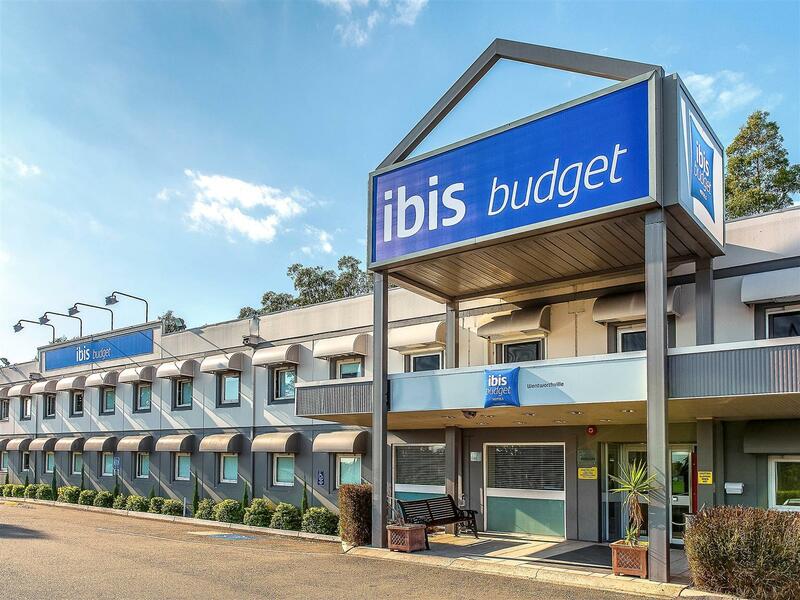 ibis budget Wentworthville is located 27km west of Sydney city, adjacent to Wentworthville Leagues Club and within easy walking distance of local transport. Opening hours The hotel is open 24 hours a day. Reception is open from 7am to 10am and from midday to 10pm.